This is the third article in our series investigating the basic meaning of all 11 Incoterms. (You can read here about FCA and DAP here.) The Incoterm we’re discussing today is Delivered Duty Paid, also known as DDP. 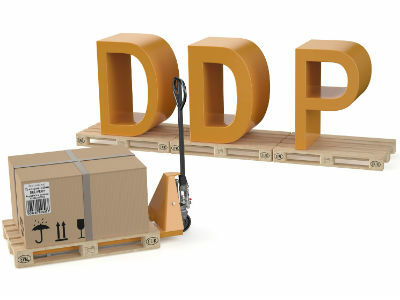 What Does the Delivered Duty Paid (DDP) Trade Term Mean? When Can DDP Be Used? DDP can be used for any mode of transport—air, courier, truck, rail, vessel or multi-modal shipments—or when there are multiple modes of transport. DDP puts the maximum risk and responsibility on the seller. It is the only one of the Incoterms that requires the seller to take responsibility for import clearance and payment. The seller bears all the costs and risks involved in bringing the goods to the place of destination. The seller is obliged to clear the goods for both export and import, to pay duties for both export and import, and to execute all customs formalities. Sellers may not understand the complex and bureaucratic import clearance procedures that exist in some countries and make mistakes or miscalculations that affect their bottom line; therefore, it may be best left to the buyer who has local knowledge and understanding. Keep this in mind before choosing DDP. In addition, Shipping Solutions export software can help you streamline the process of recording which Incoterms version you’re using and making sure your documentation is correct throughout the transaction. You can try it for free today!